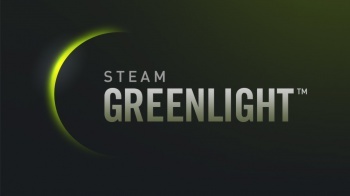 Valve has announced the names of 15 more games that have been given the green light on Steam Greenlight. You know what happens on Friday? Nothing! So let's look at the latest batch of games that have been declared fit to survive in the harsh environs of Steam. As always, there are a few in this list that I'm really looking forward to, The Novelist and Satellite Reign being my picks of the litter this time around. The Novelist, which we wrote about in May, is a voyeuristic ghost story "about life, family and the choices we make" (I know, that really nails it down) and promises to do some really interesting things with videogame narrative, while the Syndicate-like Satellite Reign is pretty much the polar opposite: It's all guns and guts in a dystopian cyberpunk future. The 7th Guest re-release is interesting too, although really just for the memories - I'm not too optimistic about its chances with "modern" gamers and I have a feeling my own recollections will prove very rose-tinted. Following the usual practice, all the games in the list were selected based on community interest gauged via Greenlight voting, plus "external factors such as press reviews, crowd-funding successes, performance on other similar platforms" and yadda yadda, and all will actually release on Steam in their own good time.